After you’ve gotten your website designed you need to market it for anybody to know it exists. Many people wonder how exactly to do this especially when they are on very tight budgets. 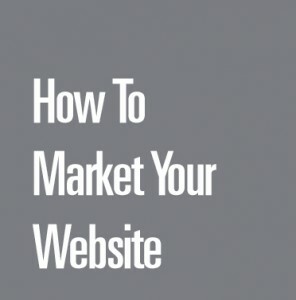 Here are a some quick tips to help you learn how to market your website. People pay attention to websites that consistently entertain them or provide great information for them. If your blog is boring or has exactly the same content as all your competitors it won’t do much to increase your traffic. Also more relevant content can help with your search rankings. You need to make sure your blog is updated on a regular basis and is executed well. Working this out ahead of time by planning a strategy and creating an editorial calendar is the best thing you can do. This way you stay organized and can focus on creating the best content, otherwise you may forget or rush to get something posted that ends up being sub par. Follow potential customers on social media. Marketing is about identifying potential customers and making them aware of your business. The easiest way to do that today is through social media. Social media is a great way to connect with customers and has the tools to help you find the people that would be interested in what you are selling. Be sure though to listen, there may be opportunities for you to solve a problem they are having instantaneously, and it could give you insight into their purchasing habits. Search Engine Optimization experts charge tons of money to advise you on the correct layout and text to include in your website so it can come up as high as possible in search results. But some basic strategies include knowing how your customer searches for you product or services online. Ask yourself what topics or words are commonly associated with your business. Make sure to include that in the text of your website, and in social media posts. This can help boost your chances of landing in those top spots on free search results without spending tons for the advice. Video’s are great content to include on a website. Some people get tired of sifting through websites reading the same content over and over. A short video that covers the same great information can help you connect with your audience better. By stimulating your audience using visuals and sound you can create a more unique user experience. A more engaged audience is more likely to follow your calls to action or share your content with others. Advertise through pay per click. Some business owners may be skeptical of pay per click advertising. In some cases it could become very expensive without a visible Return On Investment (ROI). However if you understand your target market and the best ways to approach them it could be your best option. This is especially true when you simply want instant traffic and leads to your site.